When my husband first told me that we would likely be moving eight hours away, I resisted. There was no way I could fathom anything good coming out of this. But, after several weeks of obstinate wrestling with God , a peace from Him flooded me. As people prayed over us in the weeks before our departure, I knew I was to expect something from Jesus. I would not let this life event go to waste. That was over ten years ago and there have been many other events in my life that have led me to expect big things from Jesus, to fully trust Him in all things. When we are placed in situations where we are expecting Jesus, often they are difficult situations...a disruption of our hopes and dreams, an illness, a spiritually-wandering loved one. I used to actually believe that if I was in God's will then all the 'doors' would be wide open and life would be smooth. But, I've learned that during those life-is-not-smooth times are the precise times I've had to expect Jesus--expect His goodness and sovereignty to reign over the hard times, expect His love to comfort and carry me through, expect Jesus to strengthen my dependency upon Him, and expect Him to work all things together for good. Can you imagine how difficult things must have been for Mary as she was expecting Jesus all those years ago? 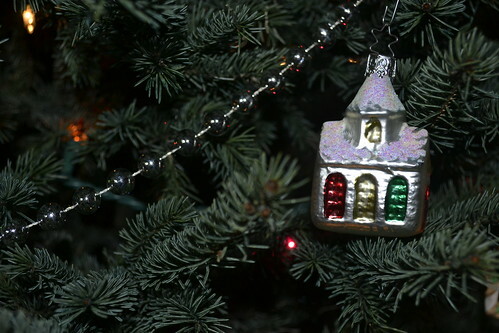 Each Advent season I share a blog post written years ago because it continually challenges me. I want to share it here again with our readers and pray that you will be encouraged by Mary's submission as you may face difficulties. 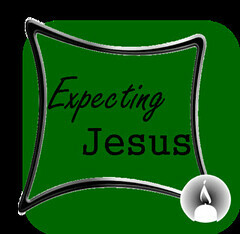 In expecting Jesus to do His refining work in our lives, expect difficulties (don't be naive!) and expect Him to carry you through.